﻿Located in Maderia, a suburb of Cincinnati, this ranch home needed total restoration. The process began by understanding their budget and vision: the basic floor plan would remain the same, however the homeowners wanted to open up the main living area by eliminating several common walls between the kitchen, living and dining rooms. It would require re-engineering the entire roof since its original construction was not designed to be unsupported. Modification to the rear bedrooms allowed the addition of a master bathroom. 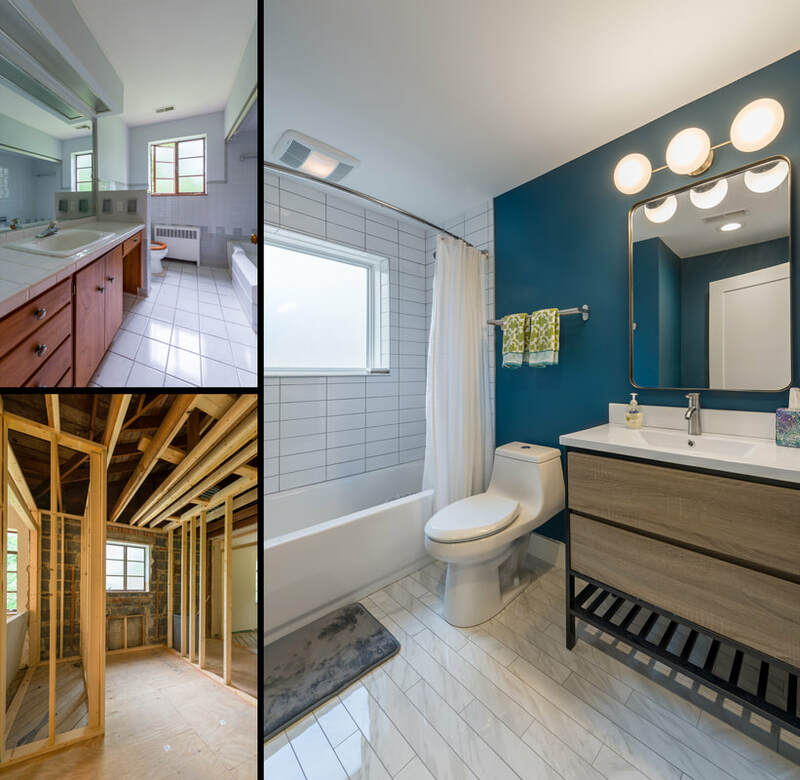 Like many renovation projects there were surprises that were discovered during the demolition, however we were able to work through them without issue or delay. The homeowner was an integral part of the project. They designed the interior, sourced and arranged for the delivery of most of the finish materials (tile, flooring, cabinets). Daily communication, weekly invoicing and budget reviews allowed for the project to be completed on schedule and within budget. "We really enjoyed working with you, Doug, Jerry, Andy and Jeff. 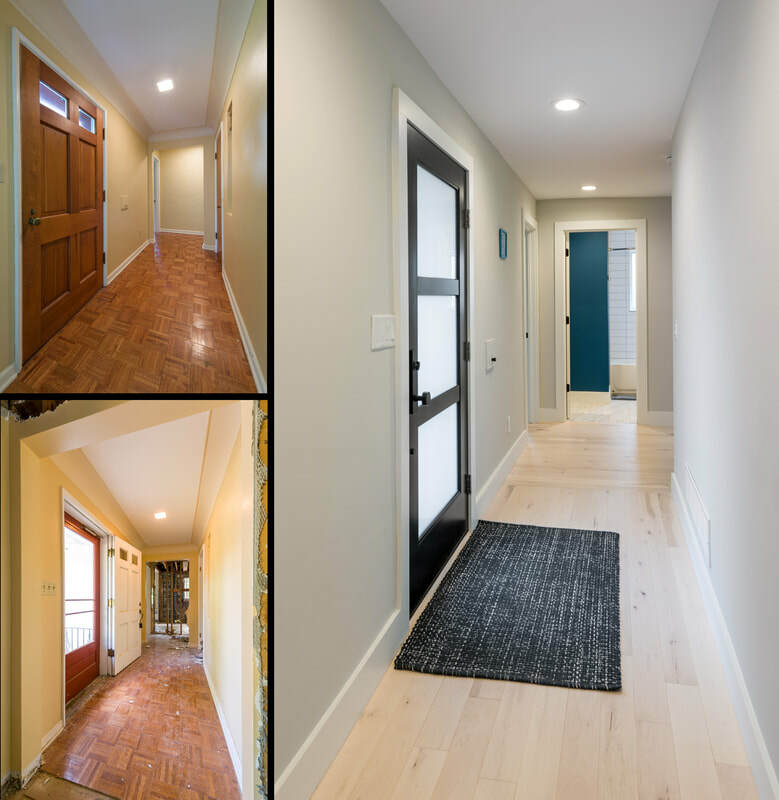 A few times throughout the project, I commented to Jeff and others that I felt lucky we found you and that you were available to take on the renovation. We really had no leads on contractors and one night when I couldn't fall asleep, I opened Houzz on my phone and started looking for contractors in our area. I'm so thrilled I came across your website. After Jeff met you at the initial meeting, he told me you seemed like an honest person and would feel comfortable working with you. Thank you from the bottom of our hearts for everything you've done. The entire rear wall of the living room was removed including the non-functioning and outdated fireplace. New windows and the higher ceiling made the area much brighter and spacious. The entire roof was re-supported to accommodate the shift in the structural load. The small half bath and hallway behind the original kitchen was eliminated, adding 25% more area to the new kitchen, creating space for a large island. The existing full bathroom was reconfigured and remodeled into a beautiful hall/guest bath. The master bedroom was an area that saw the greatest change in the floor plan. The original built-in closets became the new master bathroom. The master closet was added by utilizing a portion of the existing covered porch.